Palmer College of Chiropractic Clinics implement its EHR. CMS approves its integration with the Blue Button 2.0 API, giving patients easier access to their health data through the Consumer-Directed Exchange. The company adds search engine functionality to its EHR, enabling physicians to pull health data from digital access points supported by CommonWell, Carequality, and Blue Button. Thanks to the following companies for supporting HIStalk Practice. Click on a logo to learn more about their services. Contact Lorre to learn more about HIStalk sponsorship opportunities and webinar services. 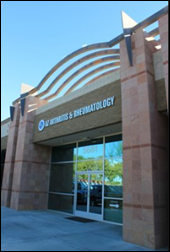 Arizona Arthritis & Rheumatology Associates selects TSI Healthcare to help implement and manage its NextGen EHR and practice management software across eight locations. New York-based HIEs HealtheConnections and HealthlinkNY partner to expand their combined services to 43 percent of the state, including 7,518 physicians in 24 counties. Child Guidance Center implements TenEleven Group’s EHR to enhance its behavioral health services for families in Jacksonville, FL. Los Alamitos Orthopaedic Medical & Surgical Group (CA) deploys email encryption services from Identillect Technologies. PlushCare expands its direct-to-consumer telemedicine services to all 50 states. Physicians are eagerly awaiting virtual assistant tools that can help improve dictation, documentation, communication with staff, and responding to patient questions, according to a survey on patient engagement technology. Results also indicate that, in the nearer term, physicians are actively looking at purchasing interactive touchscreens or tablets to digitize their exam rooms – features they believe improve their interactions with patients. The Washington Post looks at the generational shift in the time-honored tradition of retaining a primary care doc. Younger patients prefer quicker alternatives like urgent and retail care clinics and telemedicine to waiting weeks to see a brick-and-mortar PCP. A patient’s propensity to have a PCP on hand increases with age, according to a Kaiser Family Foundation study mentioned in the article. To keep up with Millenial expectations of instant accessibility, smaller practices like that run by family physician Mott Blair, MD in rural North Carolina have taken to increasing same-day appointments and digital messaging. Frost & Sullivan honors Medicomp Systems with the EHR Optimization Technology Leadership Award for its Quippe suite of solutions. Healthwise will exhibit at the Cerner Health Conference October 8-11 in Kansas City, MO. EClinicalWorks will exhibit at the AAFP Family Medicine Experience October 10-12 in New Orleans.